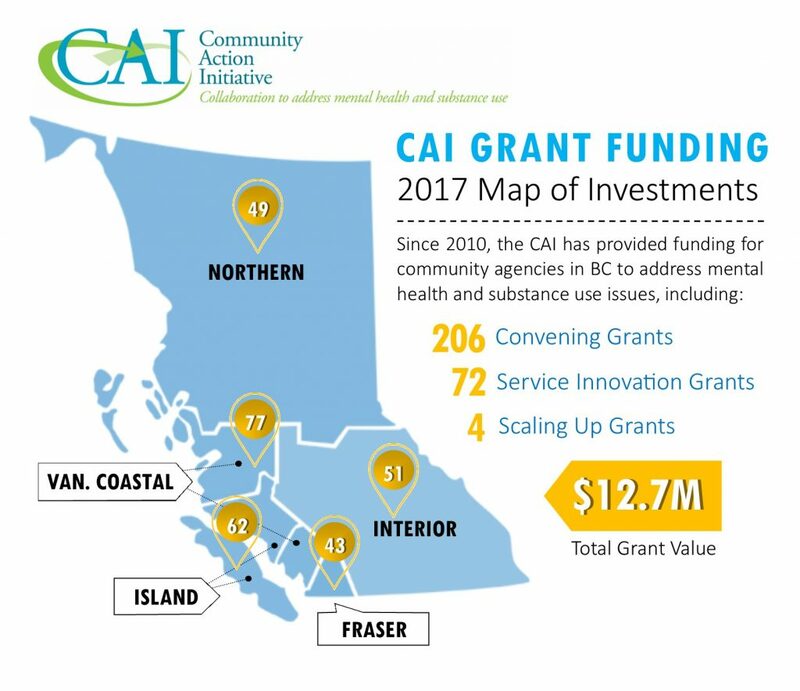 The Community Action Initiative is proud to support community projects that promote mental health and wellness, and prevent harms related to substance use in communities across BC. Review a list of our Convening Grants, Service Innovation Grants, and Scaling Up Grants to learn more about the community-changing projects we fund. Visit our Grant Opportunities page to view current grant offerings.